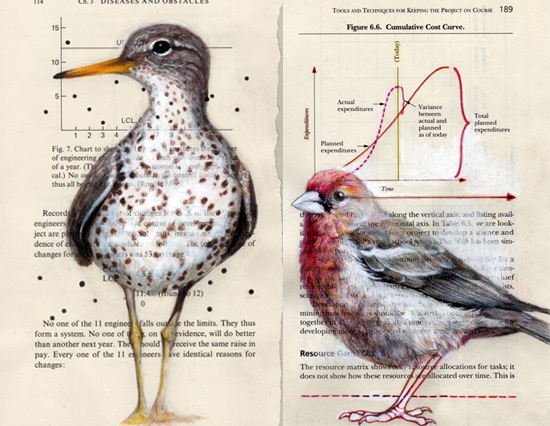 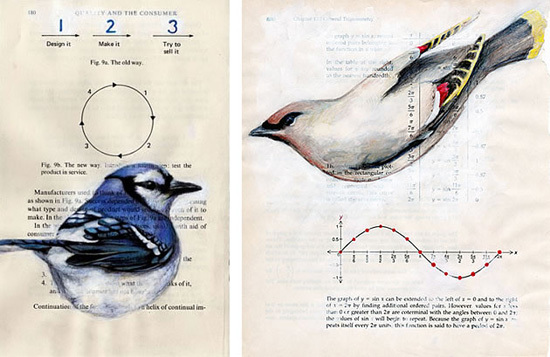 Creative Sketchbook: Paula Swisher's Beautiful Birdies in Books! 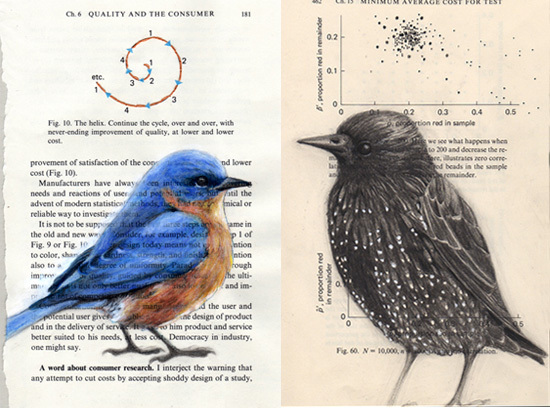 Oh wow, well what can I say about todays post, Paula Swisher is a very talented artist who creates delicate gouache paintings and drawings on paper. 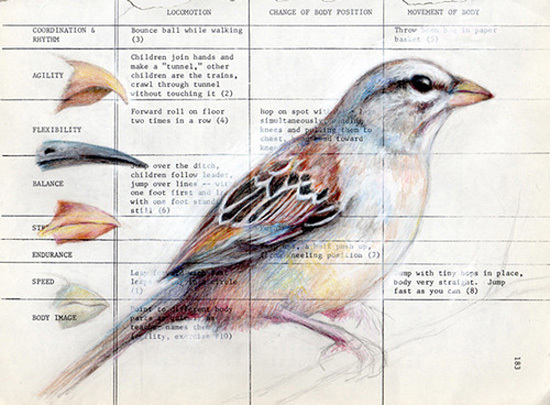 Paula cleverly highlights the natural beauty of these little wild birdies and each piece develops an identity of it's own. 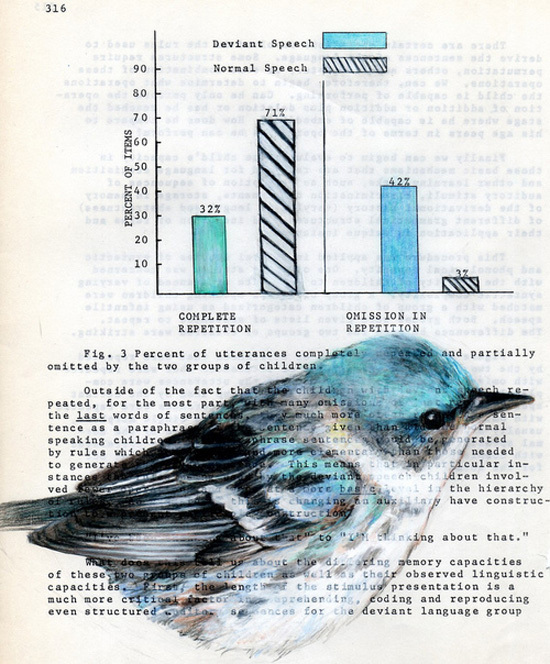 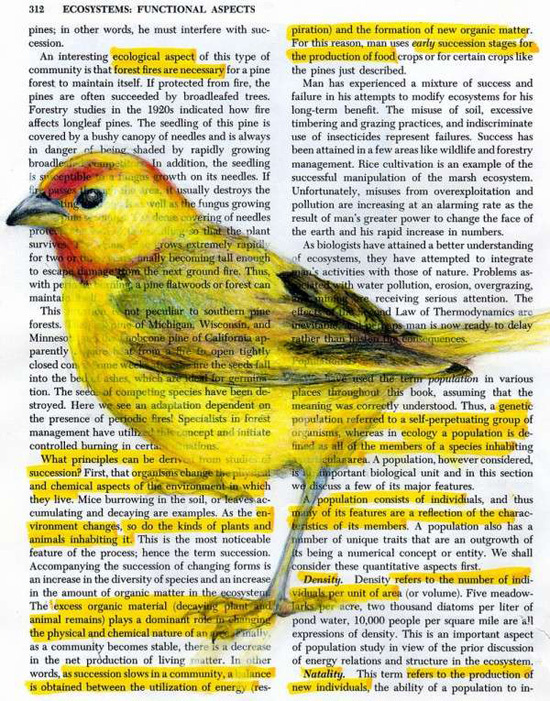 Paula sketches and paints directly onto found papers and discarded textbooks, in many cases she incorporates the printed surfaces she works upon within her work. 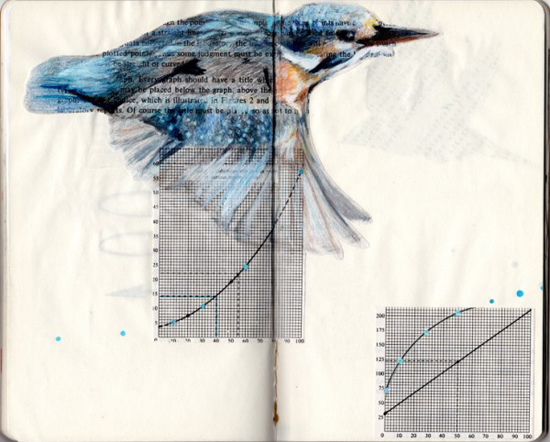 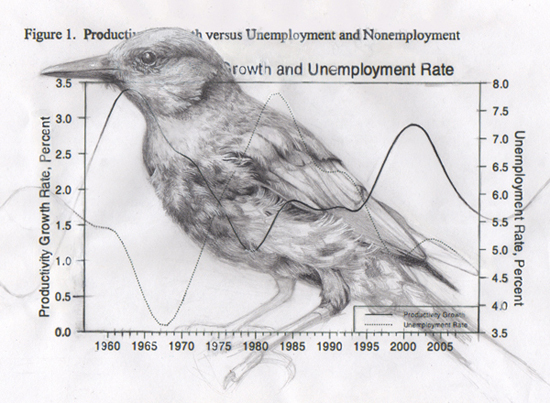 This includes graphs, figures, tables and mathematical calculations which she also reflects in the titles of her work. 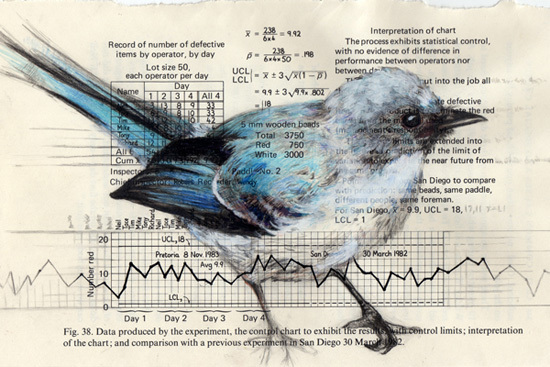 This combination of creative mark making and technical grids and structures provides an interesting and unexpected contrast. 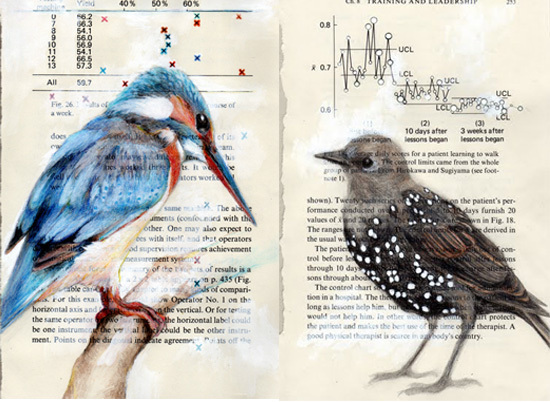 Which of her feathered friends is your favourite? 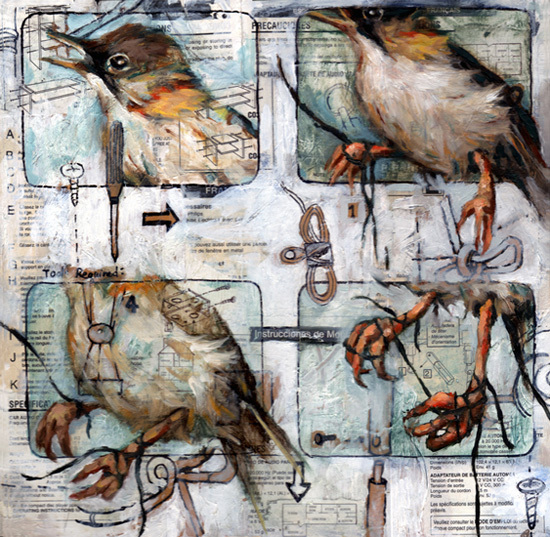 Paula achieved a Master of Fine Art in Painting from Clemson University, South Carolina after completing her Bachelor of Art from Houghton College, NYC. 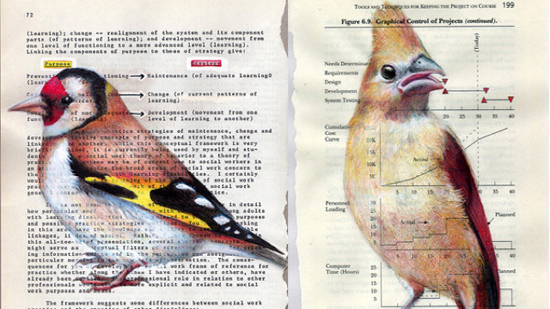 She now works across a range ofdisclilines including drawing, painting, interactive art and teaching.